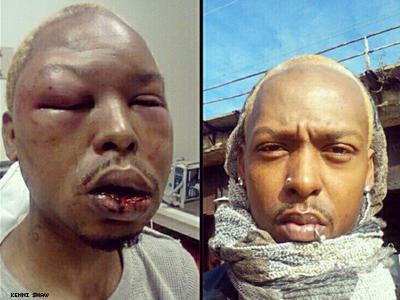 We speak to an East Baltimore resident and cosmetologist, Kenni Shaw, who was beaten on Christmas. Shaw says this attack was a hate crime and that he was targeted because of his sexuality. We are also joined by Rev. Kinji Scott, blogger and founder of My Father’s House of Baltimore City; Rev. Anthony McCarthy, host of The Anthony McCarthy Show; Dr. Rev. Todd Yeary, Senior Pastor of the Douglas Memorial Community Church; and Jeffrey McCune, assistant professor in the Department of American Studies and Women’s Studies at the University of Maryland College Park, and faculty affiliate in the Lesbian Gay Bi-Sexual and Transgender Studies program at College Park. At the end of the hour, we hear the 217 names of those killed in Baltimore in 2012.